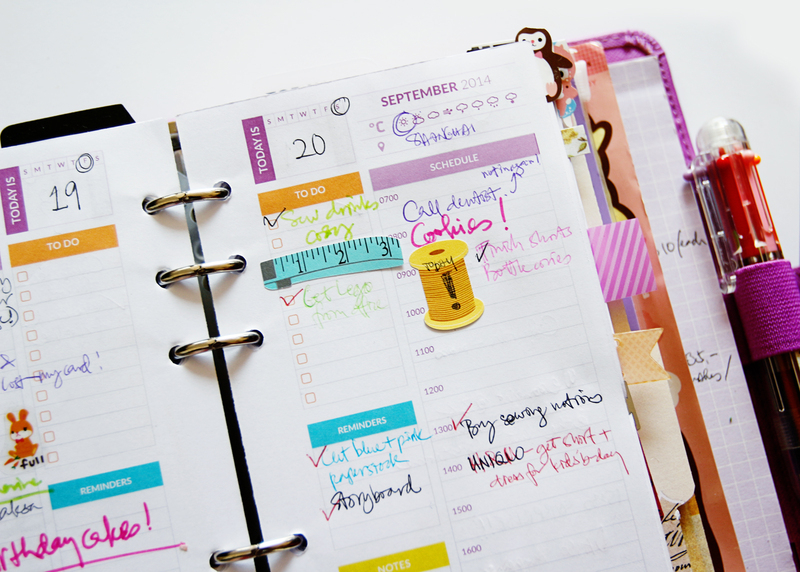 When I started using a paper planner this month, I found that it has in a way helped me getting everything organised, among other things. I’m liking this approach now, more than the digital calendars. And the added plus of using up some of the washi tapes, stickers and stuff I’ve been hoarding in my stash. 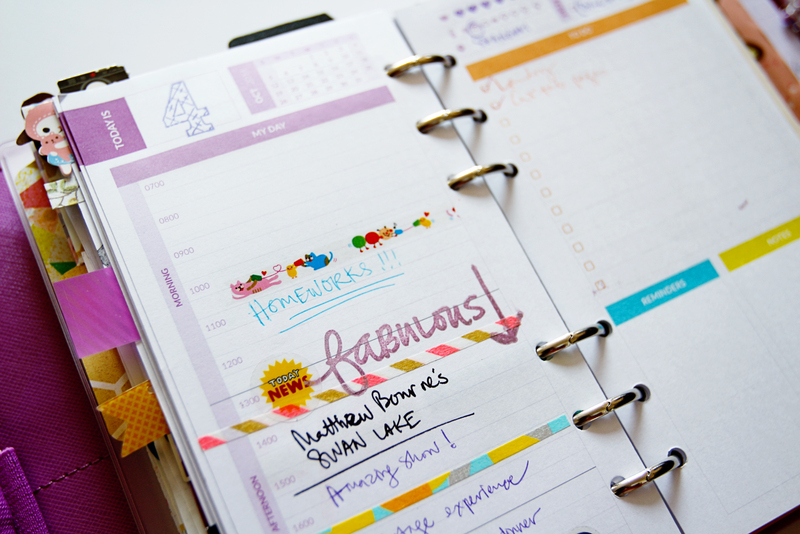 I managed to get around to customizing my own divider page using digital wordart from Ali Edwards. This is how my September daily looked like. I quite liked the page I designed yet, a designer is never ever satisfied… there is the constant need to make more especially with more ideas popping into my head. 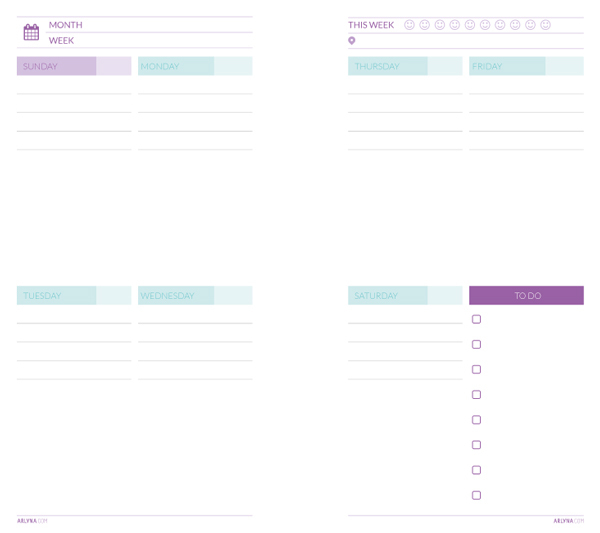 So, here are 2 new daily planner pages I designed. One of these is what I am using in October, just to see which format works best. I also made a perpetual weekly planner insert which was a request. *DOWNLOADS ARE FOR PERSONAL USE ONLY. Thank you for sharing these new lovely printables!!! Really like them a lot!! ❤ Maybe when I am free I can try to design my own planner layouts to suit my needs! Thank you Eunice! Glad to hear your comments. It’s really great of this printable. It help me to get more organized. The design is so colorful which mostly is the favorite color of mine. 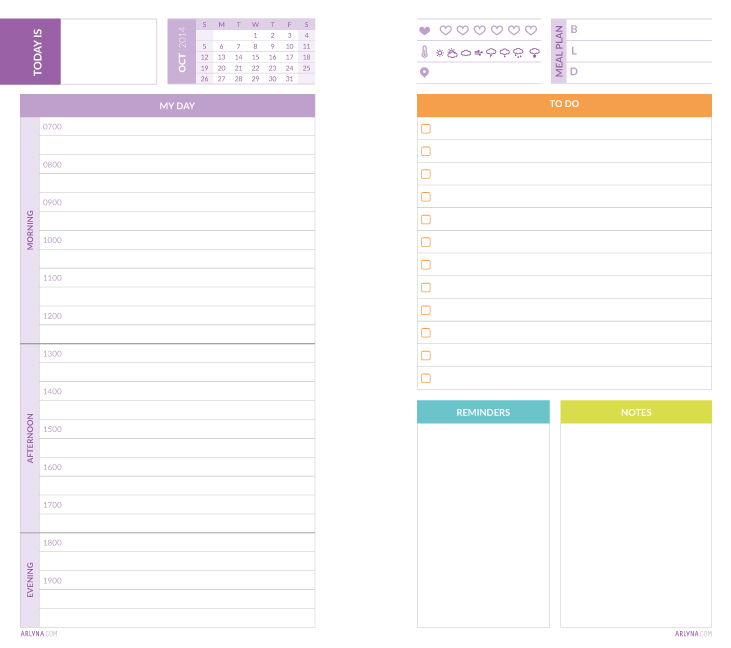 Thank you so much for sharing this awesome printable to help people get organized in daily life. May I have a request Arlynab? Can you share the same printable layout but with the November and December calendar? Because I’m going to use it in my upcoming planner day. I need a Nov and Dec calendar instead of Oct. Still a million thank to your effort! Hello! I just came across your printables via pinterest. 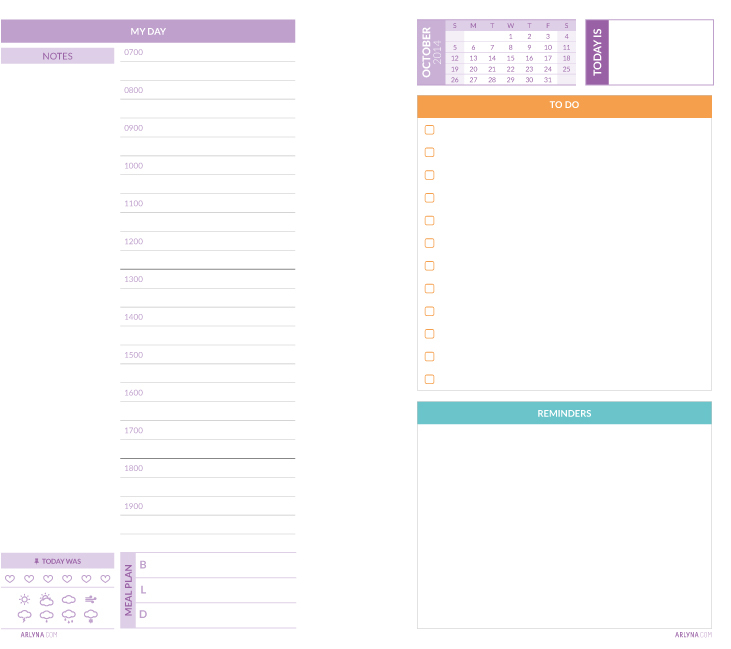 I’m extremely excited to start a planner like this of my own but, I was just wondering what kind of planner you use for the printables? Hi, Allison! Thank you. 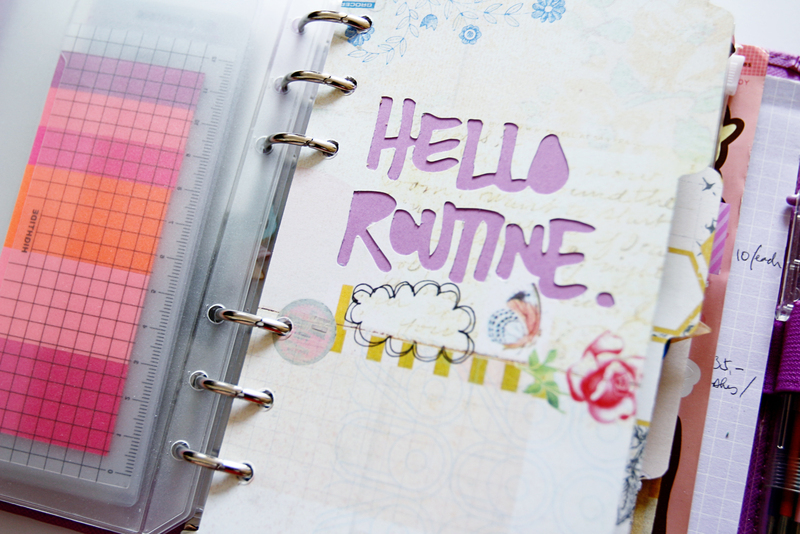 I actually use a cheap planner called Love Doki in Personal size (like A6). I was not sure how I would be getting on going analog and did not want to spend too much in case I end up not going forward… So far, it has served me well and I still enjoy using it.